I’ve had my 6 Quart Instant Pot almost a year now and I’m loving it so much I just bought a second Mini Instant Pot! There are a few main dishes I think are amazing in the IP, but my favorite thing to use it for is side dishes. It’s like a shortcut/cheat code and I really needed it. I love cooking dinner but hate juggling my attention to focus on cooking the main dish & side dishes. I don’t have that much attention available to give! We regularly make my Instant Pot Twice Baked Potato Casserole recipe, but my new obsession is Instant Pot Corn on the Cob cooked in milk, honey, butter and flavored with a little creole seasoning. 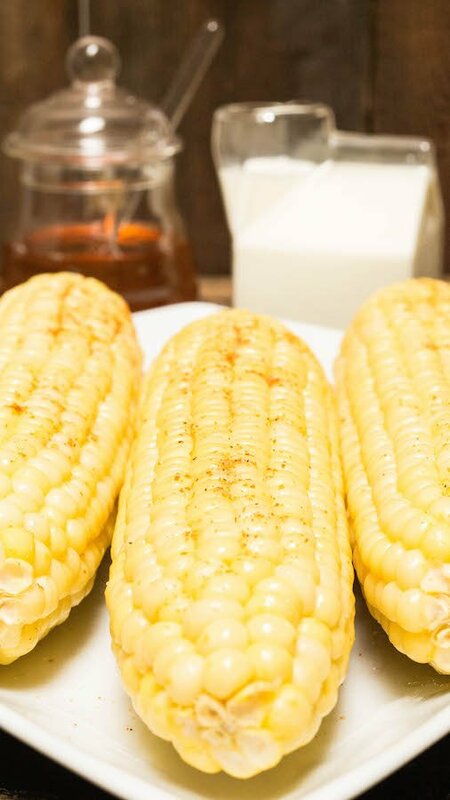 The result is a juicy, savory, slightly sweet corn on the cob with a little spice. Oh-so-delicious! You just throw everything in the Instant Pot and set the cook time for 4-6 minutes, depending on how “done” you like your corn. No stirring or babysitting. A completely hands-off side dish. It’s a dream come true! Sometimes the creole seasoning smell can linger on the Instant Pot sealing ring. If this happens to you, check out the post I made detailing how you can deodorize your Instant Pot ring. This is such a clever idea! 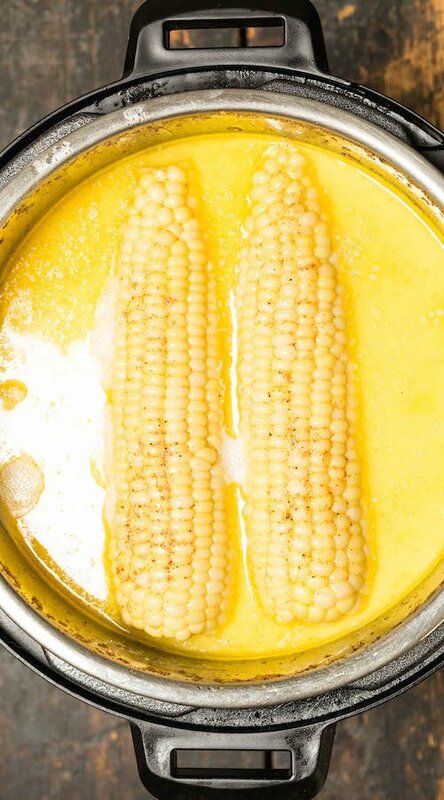 I would have never thought of boiling corn in anything other than water! I’m sure this tastes absolutely divine and the cooking liquid must taste amazing as well! I love corn on the cob and these sound incredible. I often cook them with a bit of butter for that flavour or boiling but this method sounds very tasty and something i think ill have to try! We love corn on the cob but I have never made them with milk and honey. Sounds so yum. I think my kids would enjoy this. Saving this for later. Love that you used an instant pot. Ok, this is genius! I would never have thought to put honey on corn, but it totally makes sense! I love this recipe. Milk and honey is the perfect way to compliment the sweetness of the corn. Man!! I need to get me an Instant Pot! I totally forgot about prime day the other day. Gotta wait until Black Friday! These look amazing. I had no idea you can make corn in the instant pot! 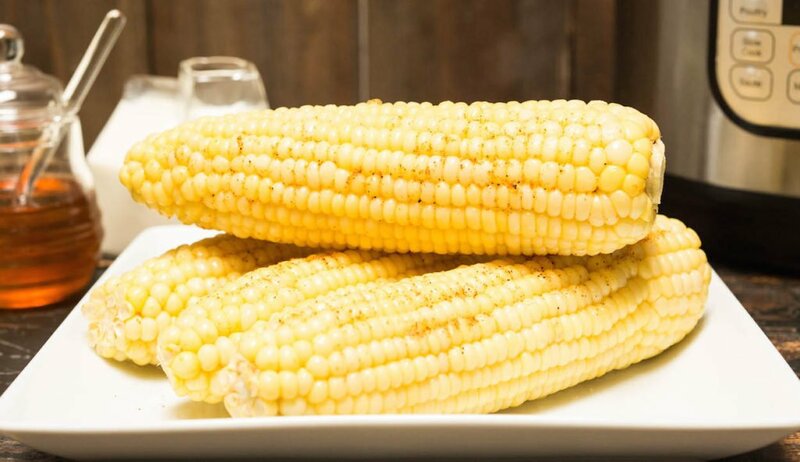 I cannot wait to try this corn on the cob recipe the next time we grill out. The combination of flavors and the ease of cooking it in the insta pot make this one great dish! I shared this video on my FB page the other day, and it got good engagement. It’s a great recipe and something I haven’t seen. What a great way to flavor corn! The Instant Pot makes it super simple to prepare, too! Corn on the cob in an instant pot?! I LOVE it! I never seem to have enough big pots for making food for get-togethers. I’m definitely going to utilize my instant pot next time.